Our Spring Festival event is back! 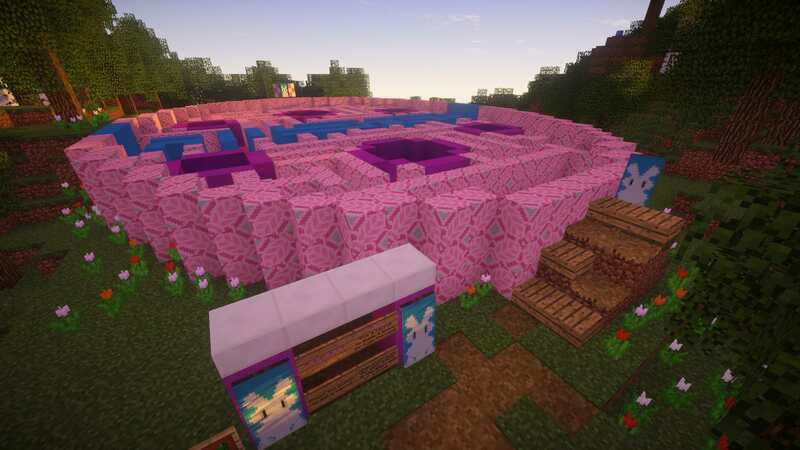 When the island opens on the 20th, you will find a bunny portal just south of spawn in Cubeville City. 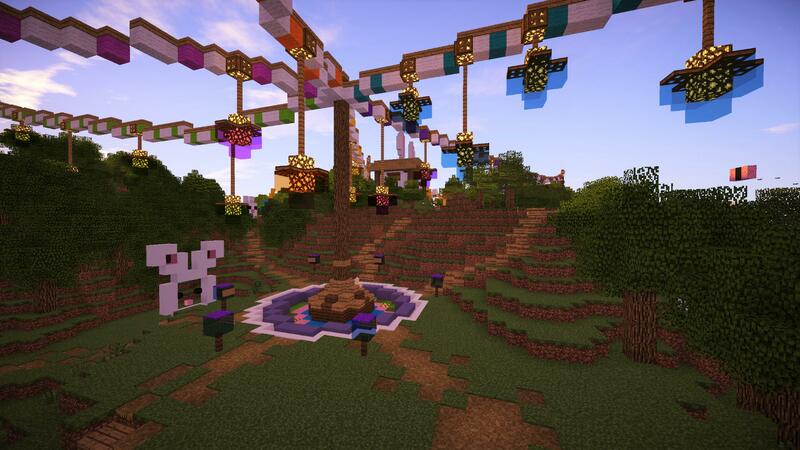 The island holds a number of games and activities, including several fun new attractions for this year. Bunny Races -Who doesn't want to ride a bunny? Everyone wants to ride a bunny. Now's your chance! Leap barriers and dodge through obstacles like never before on this adorable track.. Riding a bunny. Egg Painting - In this game, players must compete to be the first to copy the design of the staff egg, using the same style 'brushes' as used in our Scribble game. Simply hold the provided dye of the colour you wish to paint your egg and click to majykally change the block. 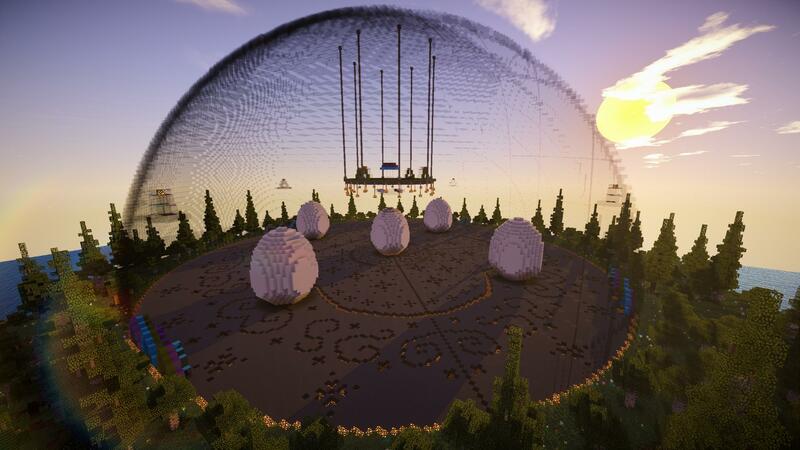 Between staff hosted games, this arena will be open for any who wish to simply come paint an egg. Don't forget to take a screenshot! Your egg will be repainted by the next person. Hosted games give a cube prize. Hop 'N Drop - An all new dropper game to challenge you with! Make it to the bottom and you can claim a cube prize and get your name on the wall for all to know. At least.. All those who also make it. Bunny Bedlam - Try to lead a bunny with a carrot through the maze. Practice any time, but when this game is hosted by staff, there are prizes to be had. 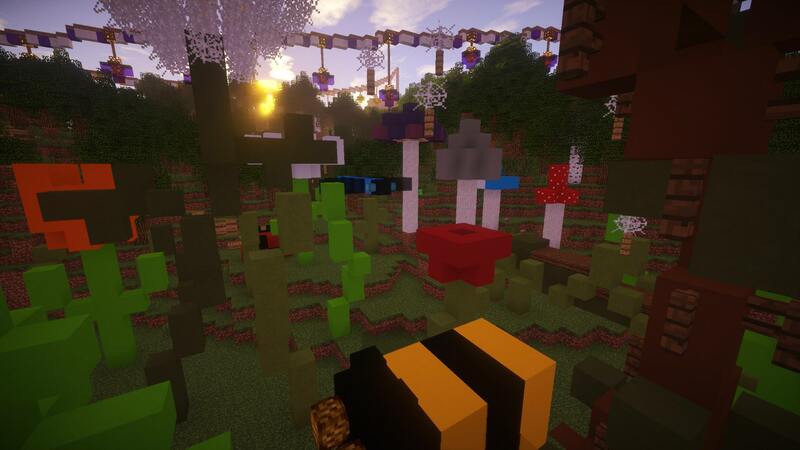 Giant Garden Parkour - Find your way up to the butterfly who flutters above this overgrown garden. This game also comes with a cube prize for the victors. Dodgy-Mobs - See if you can catch all 22 mobs in this Pokemon-style game! Take home some fun memorabilia if you manage to catch 'em all. The island also features a commemorative Selfie Station and, of course..
An Egg Hunt! 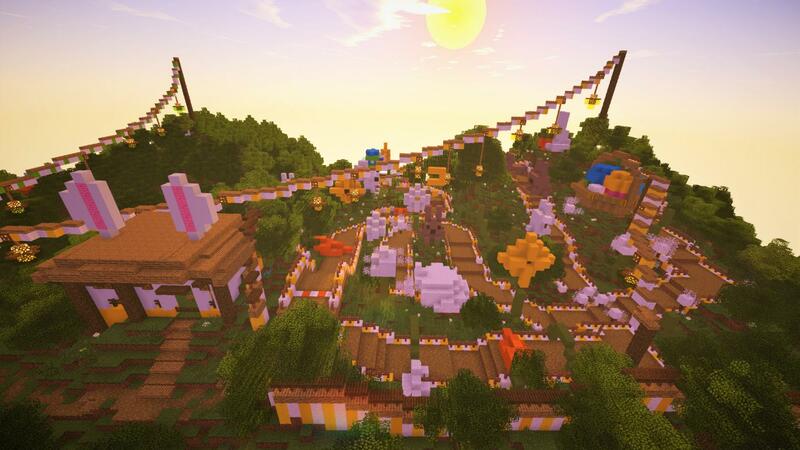 See the full post here for details regarding the event's egg hunt, tournaments, and prizes. The first tournament begins at the island's opening. Have fun, good luck, and happy hunting! 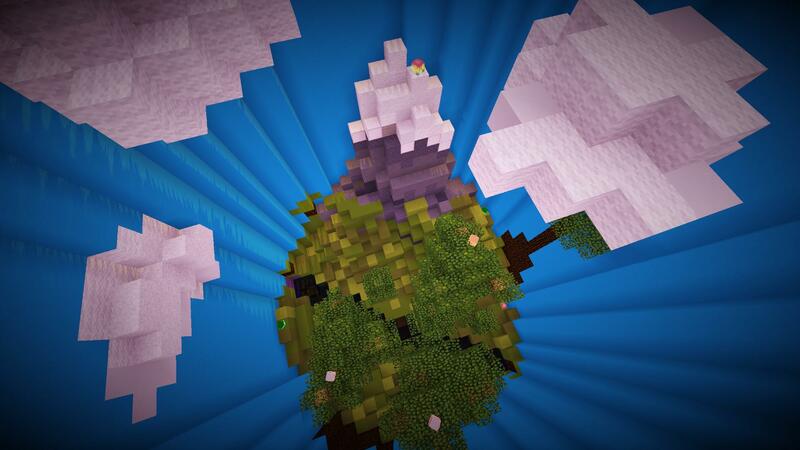 The portal to the island will open at 1 PM (EDT) on the 20th of April. And it's about to kill you. 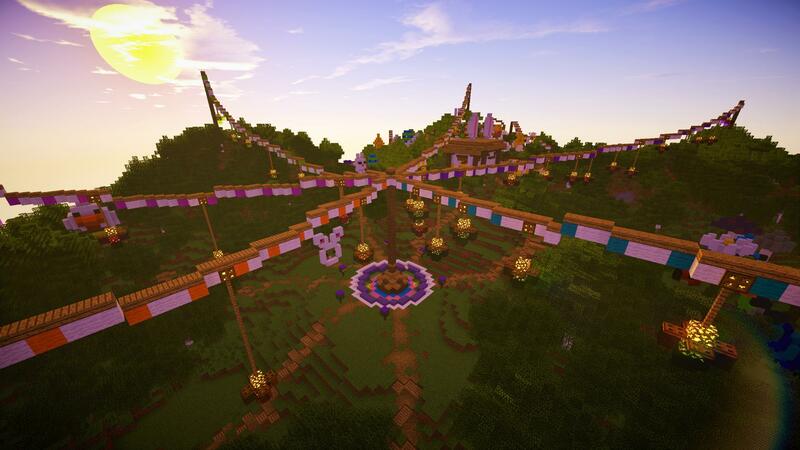 :O yay this years spring festival is coming! Can’t wait to catch them all. This is going to be amazing! Thank you to all the contributors for their hard work. sweet I can't wait!! but do we need to wait untill the 20th? I'm watching you... Yes, you. 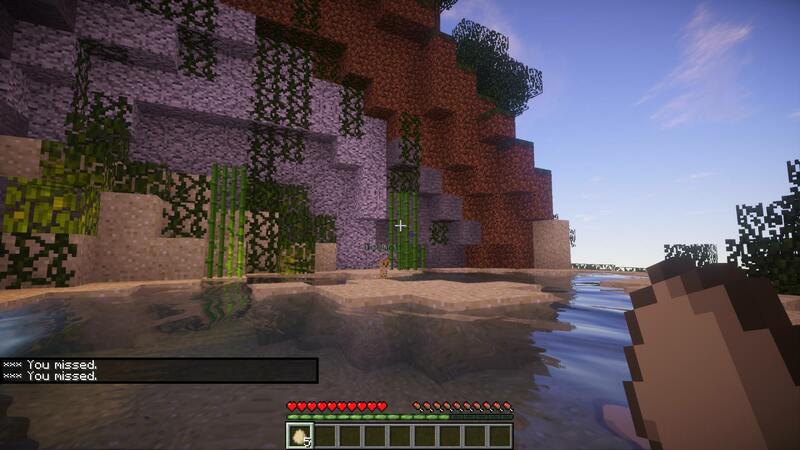 Several things are new, plus the eggs and mobs were moved, so they're not in the same locations. Looks like fun, I hope everyone enjoys it! Yep, same island, new challenges.